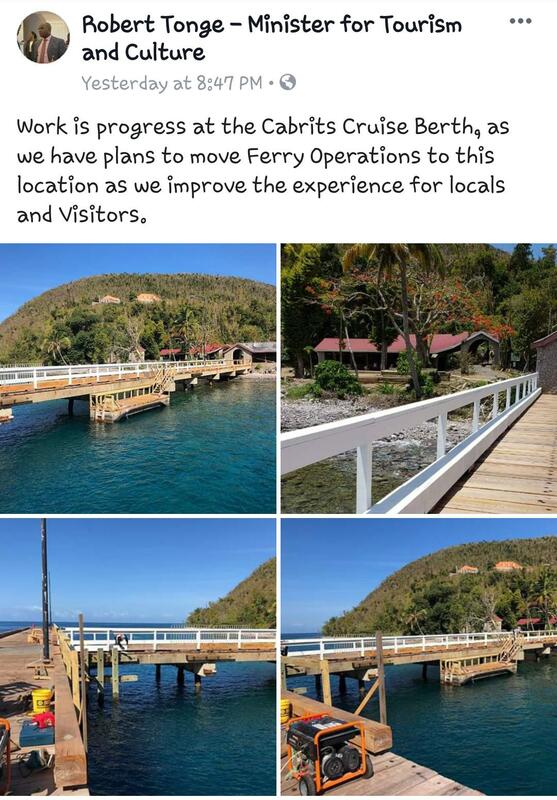 While it is true that the government is now doing some repair work at the Cabrits facility there is a reason for doing so and it is not because cruise ships are coming to Portsmouth. If that was the case Robbie Tong would have been bragging about it. Robbie Tong all we are asking is that you guys must be honest and transparent with the people. Stop the lying and the half truths. Before we reveal the reason why the government is desperately doing repairs at the Cabrits facility it is important to present a few facts - not just for truth to power but to expose Robbie Tonge’s brashness and deception. Prior to Hurricane Maria the Cabrits Cruise Ship facility was just another decrepit government facility – the docking structure was in total ruin and the terminal hijacked by molds and Mildew- very much like the former Marigot hospital. (We know that molds and “Poopoule” in government facilities have become the hallmark of the Roosevelt Skerrit administration). After Hurricane Maria the docking structure was repaired (hand Rails excluded) by the Pacific Hope missionary group so that they could provide free medical care for thousands of Dominicans. (see the attached Photo). The medical services are provided from a vessel docked at the same Cabits facility and today the Pacific Hope missionaries are being harassed and asked to remove their vessel from the Cabrits dock. With the unfulfilled promise of an international airport, it is only logical to ask “how is 160 room 5 star hotel going to be successful on an island where air access is unaccommodating and not on par with the competing islands in the region. For this reason Kempinski has now altered their operation plan. According to our sources instead of the open room hotel model Kempinski intend to focus on strictly an exclusive client type system with emphasis on deep pocket clients from the Middle East. As part of the alternate operations plan the exclusive clients will be privately ferried from Guadeloupe directly to the Cabrits facility and then driven straight to the Kempinski hotel or shall we say resort. The restoration of the Cabrits facility and the reconstruction of the Cabrits roadway with palm trees planted along the roadside is all part of the kempinski alternative advancement plan. This is why the government is desperately repairing the Cabrits Facility and we dare the sleeping Beauty Clarence Christian to challenge us on this. Had Range Capital not receive free money and real estate to develop the Kempinski hotel there is no reason to believe that Range Capital would want to invest in Dominica however if they did there is no doubt that like Ross University Dominicans would most likely have seen a KEMPIT (Kempinski Exit). Range Capital was given free land and about 850 passports, approximately EC $230 Million of the people’s money to develop the Kempinski Hotel. In reality Range capital and the Kempinski Hotel developers has little or no risk in the game. In fact in another article we will show how much money that Mohammed Asaria and Range Capital could be making from the sale of our passports for the Kempinski Hotel development . 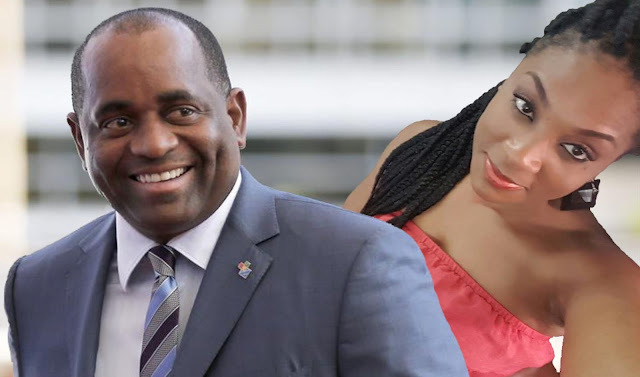 One question that the people of Dominica must continue to ask PM Skerrit and Mohammed Asaria is – “who owns the hotel after it is built with the people’s resources?” Since the inception of the hotel projects the PM and his administration are yet to provide clarifications on the ownership structure of not only the Kempinski hotel but the “Alick Lawrence” Hotel and the proposed Collin McIntyre resort in the Valley- all of which have been financed by the people’s passport revenue. 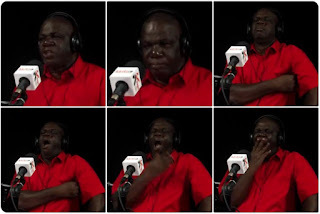 We have also learned that a recent meeting between the government officials and the Kempinski developers had not been so nice and dandy for the government officials. Our sources have told us that the meeting was an opportunity for the kempinski developers to voice their grievances and to show feats of strength. We learned that instead of the agreed 55% limit on foreign employees the Kempinski developers have demanded the right to use 78% or more of foreign employees. People who are familiar with the proceedings of that meeting were concerned that Dominicans may only be entitled to the Low end paying jobs. But then again due to the severe economic doldrums Dominicans trained in Hotel management and hospitality are not readily available for hire and the Kempinski developers may have legitimate reasons to bring in foreign employees. What was started and promoted as 160 Room 5 star hotel is now being pushed as an exclusive type resort and it is fair to ask whether this hotel will be just another White Elephant. For the sake of the dire unemployment situation in Dominica we sincerely wish that the hotel development becomes a success. However we must be pragmatic- the high possibility of empty hotel rooms must be a cause for concern and it is no surprise that the Kempinski developers have adopted desperate measures and alternate plans. Just as in the case of Ross University the Roosevelt Skerrit government has not met their end of the bargain which is to primarily create easy air access in and out of Dominica. Now the Kempinski development is facing an enormous challenge and the blame falls squarely at the feet of PM Skerrit and his administration. No amount of spins , lies and excuses will help the situation at this point. It is clear that the established hotels on the island are currently underperforming and it may have been much more prudent to use the over $500 Million to develop air access and to help upgrade the existing hotel rooms on the island as oppose to giving private hotel developers / passport sellers free money and real estate for Hotel development.